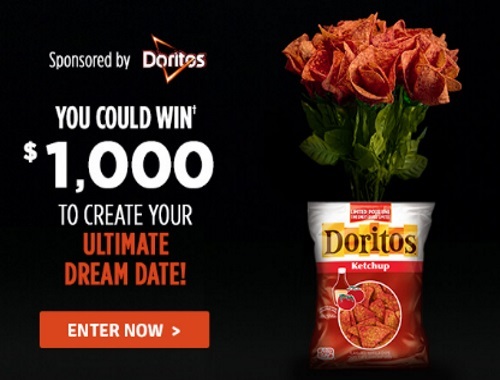 For Valentine's Day Tasty Rewards has partnered with Doritos for a contest! Enter their Doritos Bold Expressions of Love Contest! Get the chance to create a custom experience to declare your love in a bold way (valued at $1000). You must be a Tasty Rewards member to enter the contest.